You won't find a lot of changes on the new 2019 Mercedes-Benz CLA, but what has changed is well worth looking at. This sporty coupe is now available with an exterior Denim Blue paint as well as some additional standard equipment such as an upgrade added to the wheels on the AMG® CLA 45. They are now stylish 19 inch AMG multi-spoke wheels. 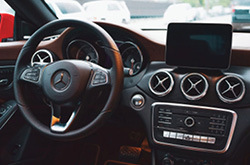 The new Mercedes-Benz CLA still includes the standard features you have come to love such as power memory front seats, front power lumbar, and an automatic climate control system. Variable assisted steering, a vehicle location system, and rain sensing wipers make this coupe comfortable to drive. You will also find dual zone air conditioning, keyless start, and an eight inch dashboard screen. This year's CLA is available in two main trim packages. The front-wheel drive option has a combined MPG of 30 with a seven speed auto-shift manual transmission with overdrive. It seats five, and you have nine exterior colors to pick from. The all-drive 4matic sedan includes all of the same great features with a slightly lower combined MPG of 28. Both offer seating for five. A 2.0-liter turbo-4 is a staple in the Mercedes-Benz CLA line. These sporty sedans have a 208 horsepower in addition to 254 pound-feet of torque. The power is achieved through the 7-speed dual-clutch automatic gearbox allowing the standard CLA to reach 60 miles per hour in just over four seconds. The 2019 CLA has respectable handling and is a decent performer. The addition of adjustable suspension helps make this year's model a smooth ride for both the driver and passengers. The 2019 CLA offers plenty of speed, even in the base trim. 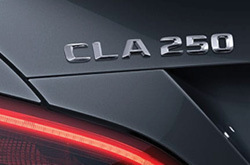 The 2019 CLA 250 as well as the CLA 250 4MATIC can achieve top speeds of 130 miles. The base trim CLA 250 goes from 0 to 60 in 6.9 seconds. Once you go up one trim level to the 250 4MATIC you can accelerate .1 seconds faster. Those looking at the AMG® CLA 45 coupe will discover a vehicle that is even faster and more powerful than the two already mentioned. With a horsepower of 375 and 350 pound to foot of torque, one can go from 0 to 60 miles per hour in 4.1 seconds while reaching a speed of 155 miles per hour. The 2019 CLA has some wonderful safety features such as the anti-lock brakes that automatically sense when one of the tires has stopped rotating during extreme braking. This system modulates the brake pressure so that the tire will once again rotate. This alone will increase your ability to turn while you are braking. Stability control detects when the car's handling limits are exceeded and reduces the engine's power or applies the brakes so that you don't lose control of the vehicle. 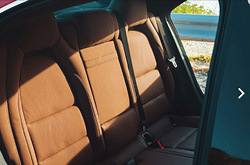 The front-impact airbags protect the driver and passenger from head injuries during a crash, and side impact airbags protect the torso during side impact collisions. Knee airbags protect the lower extremities, and overhead airbags add protection in the event of a rollover or side collision. Combine these features with seatbelt pretensioners that automatically tighten the seat belt upon impact and you have the ultimate in safety coverage. 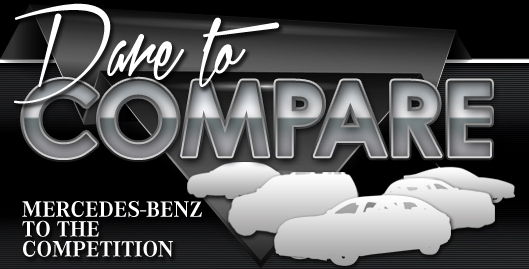 The 2019 Mercedes-Benz CLA must be experienced in person with a test drive. Visit Elite Automotive Group in Springfield to see and drive this phenomenal car.